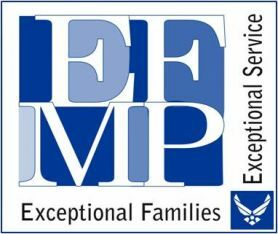 USAF EFMP Respite Care is specially designed for Air Force Families who have children diagnosed with moderate or severe special needs under EFMP. This includes exceptional Family member children whose medical conditions require assignment near major medical facilities in the continental United States, or whose needs are complex and require specialized continuity of care. The EFMP Respite Care Program has been an incredible, invaluable resource since our family was approved two months ago. This time gives us the opportunity to experience just what respite means - a short period of relief. During this time we can now accomplish family tasks, run errands or simply enjoy one another. Having a child with special needs is one of the greatest joys of our lives, but it does not come without occasional frustration and exhaustion. In my opinion, this program is one of the best military support benefits we have experienced in over 12 years serving in the Air Force. Thank you to all who are involved!" <"(Air Force Respite Care is) a program that has been so helpful to my family. My husband and I really treasure the EFMP respite program. It gives us a much needed break. We can enjoy our time together because we're confident our two boys are happy, content and well cared for by a well-trained and vetted respite care worker. The EFMP respite program gives us a precious few hours of relaxation and peace of mind knowing our children are in competent hands." If you are interested in providing in-home respite care to Offutt Air Force families contact Midwest Child Care Association today.